Angel or demon: Can a potentially invasive plant bring a positive influence to a region? Can invasive species be beneficial for the region? 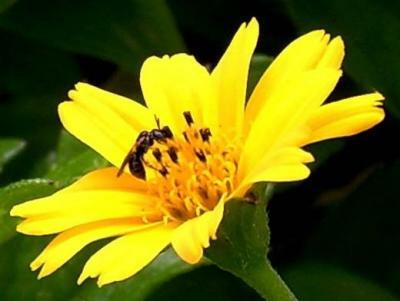 A recent study, published in the open access Journal of Hymenoptera Research, aimed to obtain empirical data on the activity and distribution of the bee species Braunsapis puangensis in the Suva area of Fiji and examine its association with the invasive creeping daisy Sphagneticola trilobata. 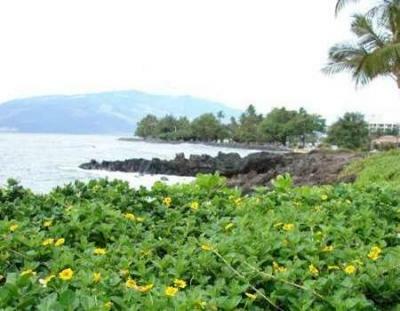 The paper suggests that the invasive creeping daisy could in fact have a positive influence on a wild bee pollinator species, thus benefitting crops and biodiversity on the islands. A recent survey by Mr Abhineshwar Prasad of The University of the South Pacific, reported over 100 species of arthropods associated with road side patches of S. trilobata, including Hymenoptera such as parasitoid wasps, honey bees and solitary bees. One species of solitary bee, Braunsapis puangensis was locally abundant on patches of S. trilobata in the Laucala Bay area of Suva. This bee species is probably of Indian origin and was most likely carried to Fiji by anthropogenic means. "There is growing concern regarding the global decline of honey bee populations and the implications of this demise for the pollination of crops. In the future we may rely on other insect species to perform crop pollination services, including naturally-occurring native or introduced species of bees," comments one of the authors of the paper, Dr Simon Hodge from Lincoln University in New Zealand. "Pollination success of generalist plants tends to be positively related to pollinator diversity, so any habitat modifications that increase the number of pollinating species present at a site would tend to be of some inherent value." The situations described above give the impression that the presence of some exotic flowering plants may be of benefit by encouraging higher numbers of pollinating species to occur at a site. Outside of agro-ecological systems, many studies have indicated that even flowering plants considered as invasive may have positive effects on insects, especially on nectar and pollen feeding species. "Our study suggests it is important to realize that although S. trilobata is considered an invasive 'nuisance weed' in one context, it may be of value to crop growers, and commercial honey producers, by attracting and augmenting local populations of pollinating insects," explains Dr Hodge. 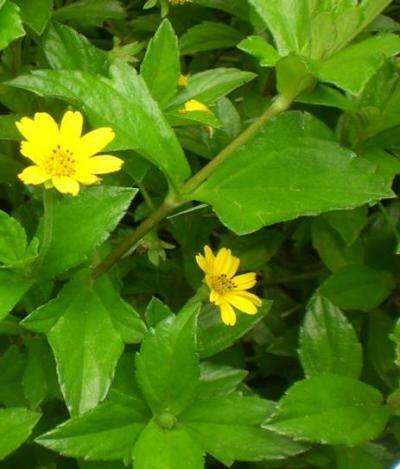 Can a potentially invasive plant bring a positive influence to a region?